Today, we're going to make an easy, basic lip and eye pencil base that can be used for color cosmetics such as lip pencils, eye pencils, eyebrow pencils, and cheek tint. You're probably wondering how it is possible to make a texture that is equally good for all these uses. A lip pencil needs to go on smoothly and be firm enough to where the tip doesn't break off. An eye pencil needs to be softer, smoother and not even come close to dragging on the skin. For cheek application, a firmer texture is ideal. Well, I've been scientifically testing, experimenting, and meticulously logging my results for a few years now (read: I've been having a ball fiddling around with these textures for ages), and with enough tweaking, testing, and diligence, I finally succeeded in creating a – for me – sublime texture that is great for all of these uses. This formula has good slip and nice staying power without feeling gluey or sticky. Note: skin type plays a role in which texture/stiffness/glide-factor feels best, so even though this texture is ace for me, it might not be perfection for you. However – even if it isn't 100% perfection for you, you can still use it as a base to tweak and fiddle with proportions until you have created your own version of perfection. Let's Get Busy with the Base! Decide how big a batch you want to make and figure out your proportions. (this is the part where you get to sit down and enjoy a coffee or tea while appreciating how fun and useful doing math can actually be). I usually make pencil base annually – which amounts to about 35 grams of product. If you're planning on making products for friends and family, you'll probably want to increase to about 100 grams. Melt everything slowly over low heat until thoroughly melted. Tip: Do not place into the refrigerator until the product is fully cool or you risk condensation droplets (which are seriously bad news for this preservative free formula). To make an eyebrow pencil or lipstick, weigh out the amount you want, melt, add pigment, stir thoroughly and transfer to your final container. Most eyebrow and lipliner pencils hold about 2-3 grams. A lipstick holds between 6-10 grams, depending on the container. We need to put this i the refrigerator only if we make the base to be used later right ? But if we plan to make it in small batches can we avoid storing it in the refrigerator ? Hi Pyariwaseema - yes - I store it in the refrigerator until use. It is recommended to store cool in general. 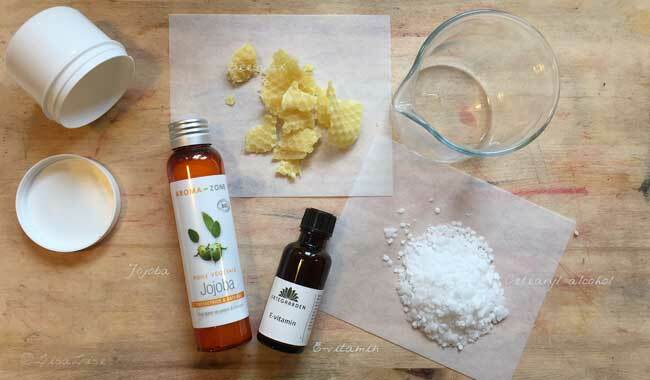 You can also make very small batches for immediate use as well. Amazing! I struggle a lot with pencils, but omg, you're a genius! I just love your tips & recipes!!! Your posts have helped me alot! Making lip & eye pencils is new for me; using your base formula, how do I figure in how much pigment to use without "over wasting" ingredients. I just hate to be wasteful! I'm not sure of the %age in pigment. Can you help me out a bit with pigment figuring? I'm slightly stumped on that. Thanks much, & keep up the good work! Thanx Lise for the tip! I was wondering, is there a substitution one could use for "cetearyl alcohol?" I don't have that, only cetyl alcohol.